GSMArena team, 11 Oct 2018. Honor and its parent company Huawei has mostly adopted the practice of over-saturating the market with a plethora of extremely similar models. It's perfectly understandable if you get confused at times. We frequently find ourselves puzzled by their "different, but same, but different" devices. The Honor 8X is, sadly, no exception to the rule. Looking at its basic specs, it is a hefty phablet, with a 6.5-inch, notched LCD panel, Huawei's fairly new mid-range Kirin 710 chipset and a sizeable 3,750 mAh battery. However, most of that is also true about the Huawei P Smart+ (nova 3i) and the Huawei Mate 20 Lite, which just sit at 0.2 inches less in display diagonal. If that's that important to you, there is the Huawei Y9 (2019), which packs a slightly lower resolution main camera, but compensates with a bigger battery. Then there are also the Huawei Honor Play and the Huawei nova 3, which also fit the overall description, while also rocking the flagship Kirin 970 chipset. And that's without even considering notch-free options, like the Honor Note 10 or the Honor View 10. Granted, not all of these devices are offered at the same markets, but it's almost as if Honor and Huawei are deliberately trying to confuse and overwhelm buyers with choice. Upon closer inspection, however, there does appear to be one ongoing trend in all this that we can't overlook and it has to do with an increase in value. 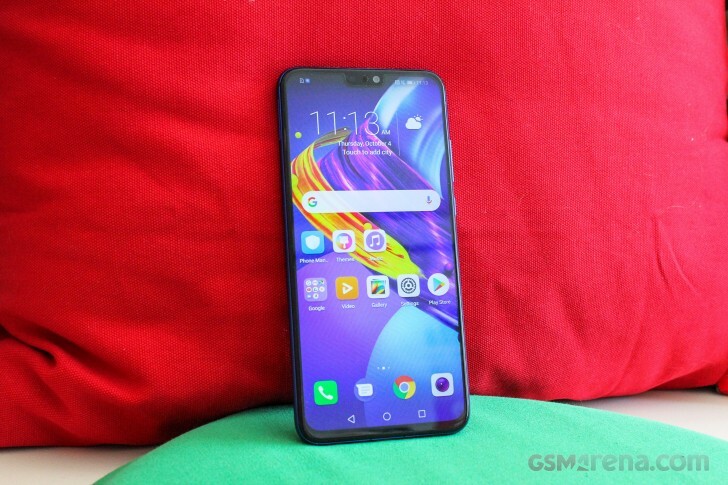 After averaging some prices, with an MSRP of just CNY 1,399/€180 on its home market, the Honor 8X seems to bring the aforementioned rough set of hardware specs for the lowest price yet. And we're definitely in no position to judge. Although, we are sympathetic if you only recently bought one of the aforementioned Huawei/Honor devices for more than the Honor 8X asking price. In any case, on paper, the Honor 8X looks like a great mid-ranger value option, we just feel obliged to check out. Still, bear in mind, most of it is not surprising or new in any capacity, especially since it has been out on various markets for some time now.